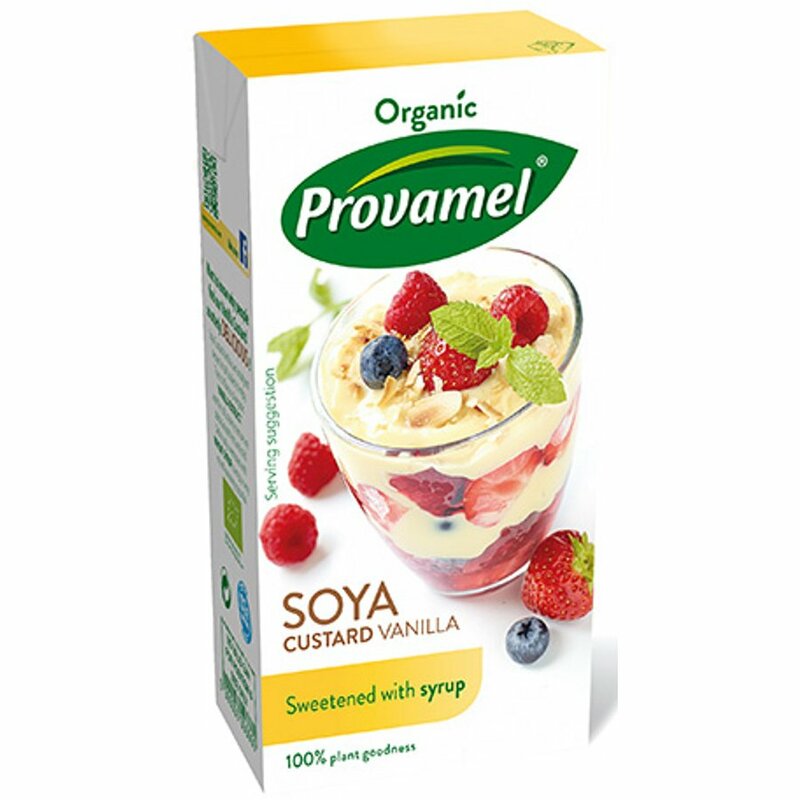 Dairy free soya custard from Provamel made from delicious organic vanilla extract to give it a creamy texture and sweetened with wheat syrup to keep the taste light. 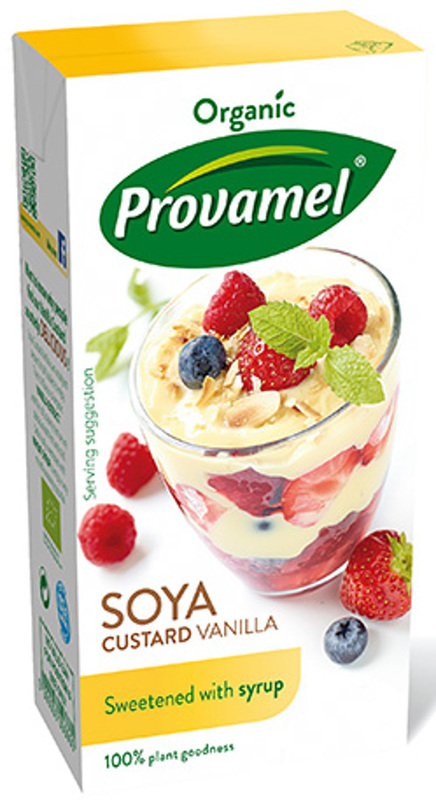 Provamel use organic non GM soya beans and keep the custard low in sodium and salt. Naturally lactose-free and low in saturated fat. Average nutritional value per 100 g: Energy - 390 kJ / 92 kcal, Fat - 1.8 g, of which saturates - 0.3 g, mono-unsaturates - 0.4 g, polyunsaturates - 1.1 g, Carbohydrate - 15.8 g, of which sugars - 9.9 g, Fibre - 0.5 g, Protein - 3.0 g, Salt - 0.16 g, Lactose - 0 g.
The Provamel Soya Custard - 525g product ethics are indicated below. To learn more about these product ethics and to see related products, follow the links below. There are currently no questions to display about Provamel Soya Custard - 525g. Provamel is the first 100% organic soya range in the UK, offering a premium collection of fully vegetarian, dairy free plant-based foods and drinks, which make great alternatives to conventional milks, desserts and custards. They are a family-owned company with a vision of a healthy lifestyle within everyone's reach. Using the humble soya bean they have developed innovative sustainable production processes, and created a range of products which hld true to their original values whilst being incredibly tasty and versatile.